I think I lost weight and I’m basing it on how my jawline is visible again. Since the Guimaras trip where I lamented the fact that I’m too fat for my swimsuit, I’m that my fitness efforts seem to be working. I limited my junk food intake, I do intermittent fasting, I don’t overeat, and I workout at least 3x a week. Slowly but surely, the weight has begun to shed off. So how do I celebrate the return of my jawline? By having a doughnut that’s how. 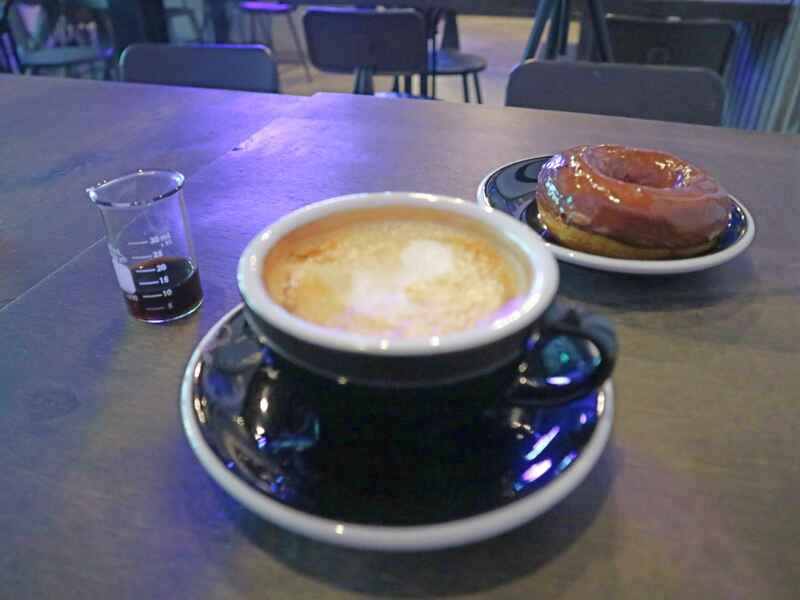 Today, I googled a cafe I haven’t tried yet and found Poison Coffee & Doughnut. Wait what? Poison? Why would you name a place after substances that cause disturbances in organisms, usually by chemical reaction or other activity on the molecular scale, when an organism absorbs a sufficient quantity (according to Wikipedia)? Of course, I had to know before I poisoned myself, and here’s what I found from their Facebook page. And I was like, oh that’s why. Angkas driver and I got lost a little bit trying to find it. It turns out it’s inside this place called Karrivin Plaza in Chino Roces extension. 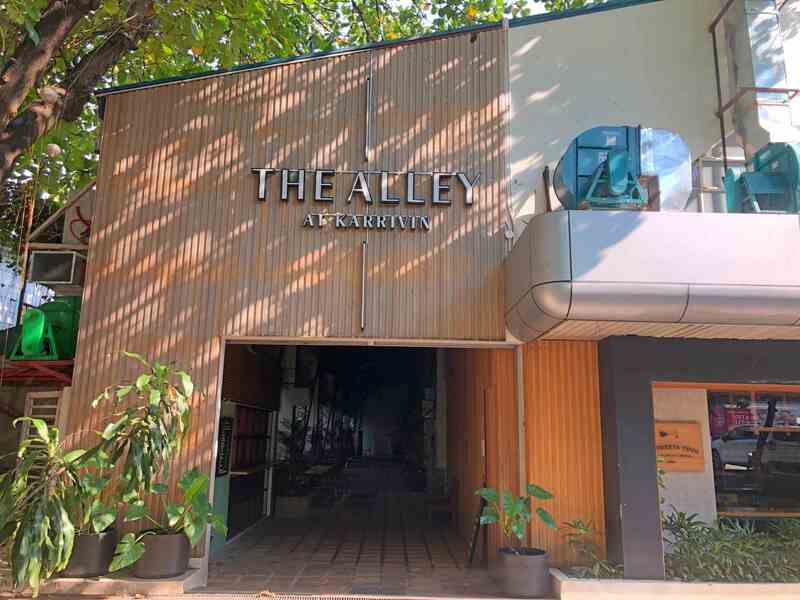 Within Karrivin Plaza is a compound called The Alley which houses art galleries, furniture shop, and a few dining options. Poison Coffee & Doughnut can be found at the end of this alley. It’s a Sunday, most of the establishments are closed but Poison is opened, yay! 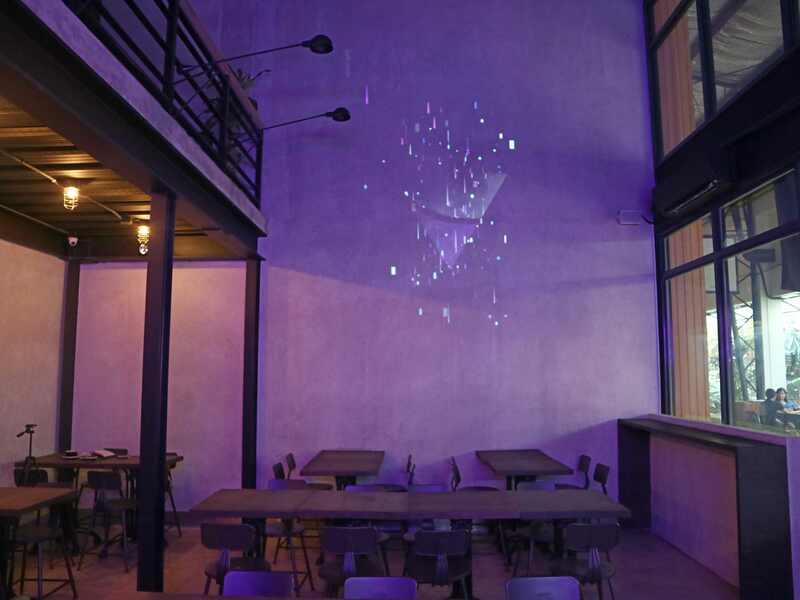 I entered an empty, dimly lit space, with a neon sign above the counter. There go the doughnuts on display beside the coffee machine. The entire place is dark, tall ceiling, dark stained tables, and chairs. I was like, is this a cafe or a bar? I asked for their bestseller doughnut, the barista mentioned three of them, glazed vanilla, egg custard brûlée, and salted dark chocolate. I almost selected the egg custard but it doesn’t have a hole, so I chose salted dark chocolate (₱60 – $1.11). Yes I know, not all doughnuts have holes, but it’s my first time there so I wanted to take a photo of a doughnut that actually looks like a regular doughnut; the one with the hole. I know, my reason is weird, but fudge logic. The dough and the chocolate frosting are not overly sweet. The verdict, I liked it as I’m not a fan of diabetes-inducing doughnuts (yes I’m talking to you Krispy Kreme). Then I ordered coffee. I looked at the menu, they just put them all under 4 categories; black, white, mocha, cold. Not sure if I mentioned this before but I usually take my coffee black. The only time I make an exemption is when I go to some fancy cafe that I haven’t tried before, in which case, I order flat white. 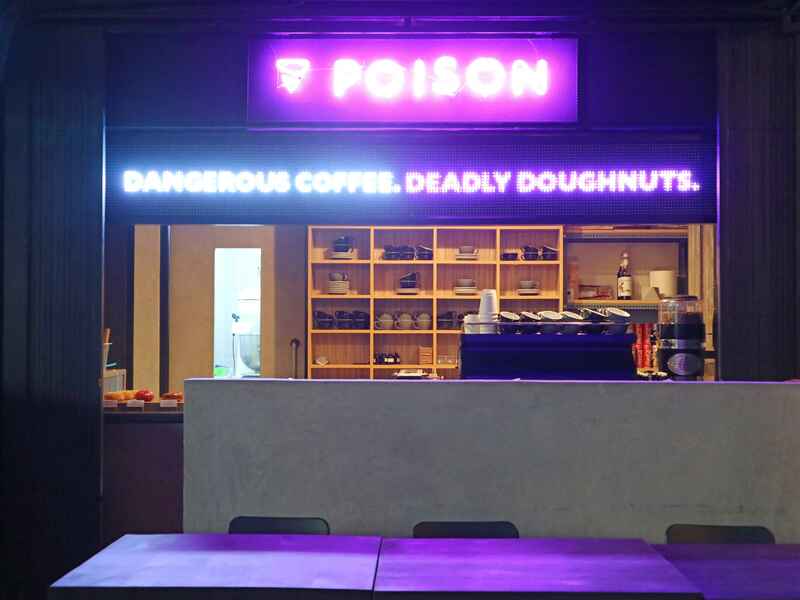 Poison’s menu is pretty straightforward though, no fancy names like flat white or latte, it’s just all under their White category, comes in different cup sizes. I ordered the 7oz white coffee for ₱135 ($2.49). Girl, the coffee is killing it! It wasn’t bitter at all, something I’ve gotten used to on specialty coffee. It was very creamy and 7 oz is not enough. I’d definitely order a bigger cup next time. 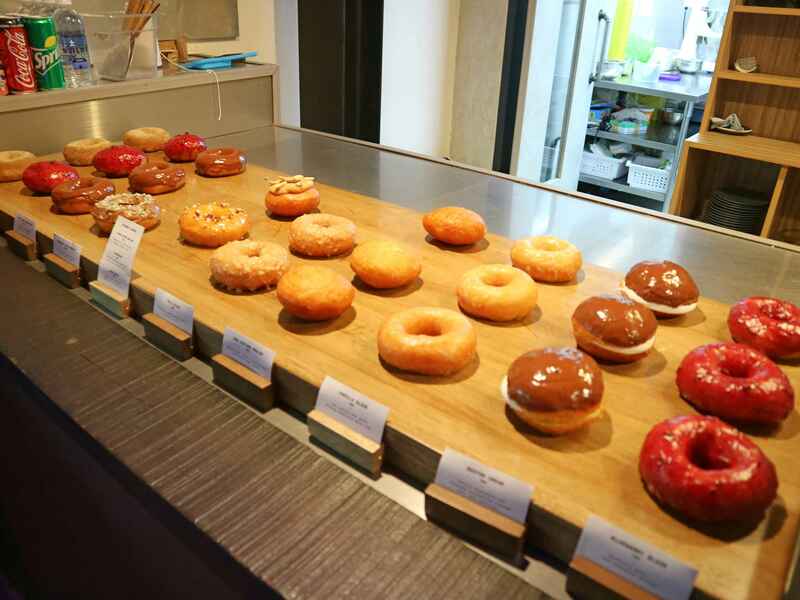 Hell yes, there will be a next time, I still have to try that doughnut without a hole (egg custard brûlée) and I have to take my friends there too because that’s what I do when I like a place, I come back with an army of hungry people. I brought a book that I’d been procrastinating on for months hoping to finish it. I thought I might just be able to get it done because I got all the cafe to myself. As soon as I said this in my head, groups of people came trooping in, some of them even had kids with them. I stared at them and I thought, looks like I’m not done procrastinating on this book.